There has been a lot of talk in professional baseball about the banning of maple bats. In October of this year (2008) the Frontier League which is located in the mid-west has come to a determination that maple bats will not be permitted in the 2009 season. The reasoning behind this is because when a maple bat breaks, sometimes the bat splinters in to two completely separate parts causing almost a spear like object which can be classified as dangerous. Now the chances of the bat breaking and actually spearing someone is slim to none, but I’m guessing some minor leagues just don’t want to take that chance. The player that would probably hold more risk in getting hit with part of the bat would be the pitcher. Some pitchers have actually even been killed while playing baseball, but it is usually from the ball hitting them in the head. I have had a few incidents in my time of my maple bats breaking and creating spear like objects, however almost every time the bat will break it will only go about five to ten feet in front of the plate. One time the bat broke on the handle and it splintered leaving a piece of the knob stuck in my hand. It was no big deal. 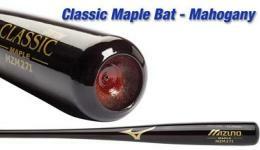 Should maple bats be banned? In my opinion, I have to say no. They have been apart of baseball for a while now and there hasn’t been that many incidents with them to where someone’s life was at risk. The entire sport of football is surrounded with danger and risk of being paralyzed, but they still play that sport. Players get hurt in every football game. Maple bats have an advantage on almost every other bat out there, the wood itself actually gets harder the more you hit with it whereas ash bat grains will splinter on the barrel. I have taken about 300-500 swings in batting practice with an ash bat before wanting to make it firewood. Ash bats themselves are going to be harder to produce as the loggers in Pennsylvania and New York struggle getting their timber due to the ash beetles which continue to kill millions of the trees. They are still working on killing off the ash beetle to prevent them from getting to other healthy trees, however this has been extremely difficult. Of course there are other types of wood such as birch, bamboo or hickory but these are less effective then what many baseball players are all used to. When baseball first came around, hickory bats were more heavily used. Hickory is definitely a strong piece of wood but it is very heavy and can slow your hands down tremendously. 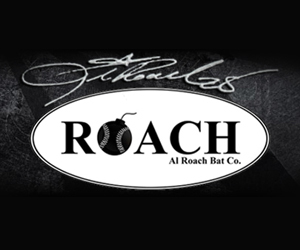 The great Babe Ruth used a hickory bat back in the day that weighed about 47 ounces. Bamboo bats are somewhat new to baseball. They are made by pressing bamboo strips into billets which are then converted to bats making them almost as strong as steel. For players that are used to using maple bats and are heading to the frontier league in 2009 to play some baseball, I just want to let you know that I feel for ya.